LOCKN’ 2017 festival wristbands will start shipping soon. If you have moved or need to update your shipping address, you must do so before July 17 to ensure a safe arrival of your festival packet. When your update is successful, you will be presented with green text confirming your update. You are done! For additional assistance, contact Front Gate Tickets with your 8-digit order number, the last 4 digits of the credit card used to purchase, and your new address. Or call 888-512-SHOW with this info to update via phone. Front Gate Tickets, will update your address if your order has not shipped, and if it is before your event’s shipping deadline of August 10. Tracking information will be emailed to you when your package is on the way. 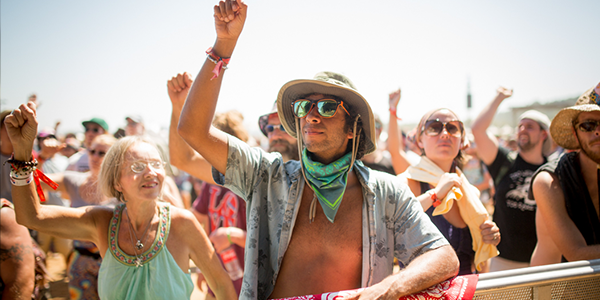 Reminder, if you are planning to bring a vehicle to camp or park on the festival grounds, you (or a member of your party) must also purchase a camping or parking pass for that vehicle. Vehicle passes are still available at www.lockinfestival.com.